The headline for this story might be a a bit misleading because, while these are Oscars winners, the films on this list are not necessarily Best Picture Oscar winners. What these films are, at any given time, is possibly the best example of what movies had to offer for the particular year in which they won. This isn't always the case however, but, at the very least what this list IS giving you are some very good films. As you glance at this list, your first thought might very well be, "What an eclectic group of films given to us by the often stodgy Academy." Then, as you sort through it, you will see that these films are subversive, groundbreaking, and actually follow the tropes of what most people think an Oscar film is. You might not like that a film won this or that award, but there's no way that you can deny that it deserved to be in the running. That said some of the films on this list should've won Best Picture. (The Aviator anyone?). Why they didn't is anybody's guess, but (and this is what makes lists like this so much fun) we can sort of give them an Award they didn't get in the moment. And, just like on Oscar night, there will certainly be people reading this that don't agree with what I've written. At its worst this list simply devolves into an argument or way to settle old cinematic scores. 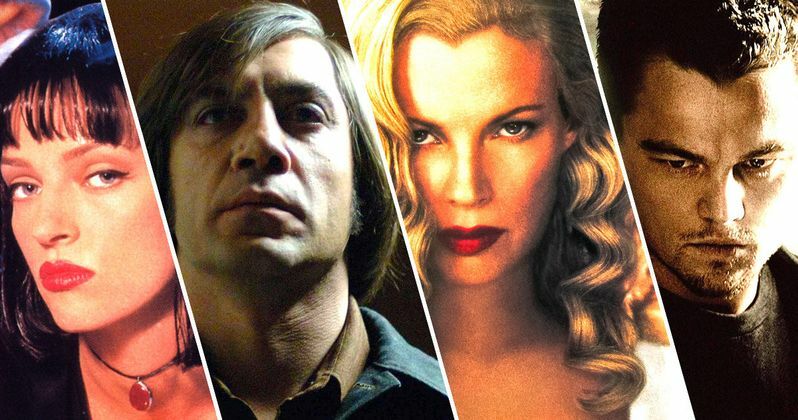 At its best, the 14 Best Oscar Winning Movies on Netflix will be seen as a celebration of cinema. The kind of list that only a platform like Netflix could create. With its foothold on some of the best original content users have ever seen, it's only fitting that they would house some of the best Oscar content. After all, they have a film, Roma, that stands a big chance of winning an Academy Award in 2019. So sit back and enjoy this list. Whether you agree with it or not this is a list that at least some Americans agreed were the best films we had during that year. In these times where it seems like we're willing to rip each other's throats out over every little thing, you can take heart in at least finding some consensus in "14 Best Oscar Winning Movies on Netflix". Now, if only Netflix could figure out a way to avoid another government shutdown! When Steven Spielberg, Francis Ford Coppola and George Lucas walked out to announce the Best Director Oscar for 2007, anybody with any sense of movie knowledge had to know that Scorsese was going to finally get his coveted statue. The Departed is hardly a perfect film. However, this tale of good cops, bad cops, various ethnic mobs, and overall East Coast culture and cool just felt downright deserving. With a cast that included Jack Nicholson, Matt Damon, Mark Wahlberg, and Vera Farmiga just to name a few, this is one of Scorsese's films that, like Goodfellas and Casino before it, is imminently watchable. This Netflix offering would also net Scorsese a Best Picture Oscar (among others), but for this cinema giant it was the Directing honor was the equivalent of a life time achievement award. Has there ever been a cooler Academy Award winner? This 2014 Academy Award winner may not have won for best picture (that honor went to 12 Years a Slave) but there was no denying the performances. This helps explain why Matthew McConaughey and Jared Leto took home the statues for Best Actor and Supporting Actor. It would be easy to cynically look at the subject matter of this film and what the actors did to transform themselves as Oscar Bait. However, the Dallas Buyers Club is a tour de force of Americana. How else to describe the story of Ron Woodroof (McConaughey), a true salesman who, after contracting AIDS, uses his interpersonal skills to make AIDS medication cheaper for himself and others affected by the disease. This story strikes at the core of humanity in regards to the idea that any disease, whether you have it or not, effects us all. Kudos to Netflix for keeping this evergreen film on their platform. A movie about Stephen Hawking and his wife might not seem like the most interesting film in the world. However, Eddie Redmayne's performance as Hawking (with an awesome assist from Felicity Jones as Jane Hawking) is the sort of thing that mesmerized in 2015 and continues to do so. Due to Hawking's degenerative condition, there is a good portion of the movie where Redmayne can do little more than move his face. His non-movement becomes a performance all its own and that is what makes The Theory of Everything such a standout. With so much about how Netflix operates being based on science, it seems fitting that a movie about one of the world's most recognizable scientists would be available to stream from it. This story about Oskar Schindler, a German businessman in World War II who eventually used his money and influence to spare many Jews from the concentration camps, is an American classic. Shot in black and white this 1994 Academy Award winner would go on to win 7 awards. Among them were Best Picture, Best Adapted Screenplay and Best Director just to name a few. This film worked on just about every level for all audiences and is the kind of movie that is still studied in classrooms today. Schindler's List was literally made during a different time. There was no internet, social media was non-existent, and the thought of walking around with a phone everywhere was pretty ludicrous. That this movie can command attention on Netflix today is a testament to it's unyielding power. This 2011 Best Picture, Best Actor and Best Director winner (among others) is a somewhat simple tale of Prince Albert (Colin Firth) becoming the reluctant King of England and having to give a rousing speech that will declare England's war on Germany. The biggest problem is that Prince Albert has a speech impediment that makes speaking (public or otherwise) very difficult. Enter a speech therapist played by Geoffrey Rush who becomes Prince Albert's most unconventional ally. There was much blowback to this film given that it sorta played fast and loose with history. Also, it was seen as Oscar bait and this was sort of the beginning of that kind of behavior being looked down upon. Whatever the case is, The King's Speech IS a good film and it's the kind of film that Netflix makes available because there are people that both want and need to see it. The Aviator should've been the Best Picture of 2005. It won awards just about everything: cinematography, production design, editing, costume design and it even garnered Cate Blanchett a Best Supporting Actress statuette. This tale of a young Howard Hughes directing major Hollywood films and ultimately making TWA a huge player in the airline industry, also shows us (though not in a heavy handed way) just how much he suffered personally due his various phobias. This is a brilliant film that for some reason didn't connect with audiences in the same way that Million Dollar Baby did. While I am not going to disparage that film, I will say that ultimately The Aviator is a grander, richer spectacle, while also being small enough to find a personal connection. What a brilliant film from Director Michel Gondry and Charlie Kaufman. This totally different take on the classic love story stars Jim Carrey and Kate Winslet as a couple who has broken up and are trying to forget each other. However, the power of love is so strong that what each hopes to achieve is nearly impossible. Winning the Academy Award in 2005 for Best Original Screenplay, this anti-love love story would go on to become the kind of film that would have no equal. Sure, other movies tried to tell genre bending love stories, but Eternal Sunshine of the Spotless Mind was about as unique as unique gets. It's the kind of film that really stays with you long after you've watched it. Netflix must know that Eternal Sunshine of the Spotless Mind has its own brand of universal truth, which is why they've kept on the platform for so long. This throwback to the film noirs of old won Kim Basinger a Best Supporting Actress statuette, as well as a Best Adapted Screenplay award in 1998. With a cast that also included Russell Crowe, Guy Pearce and Kevin Spacey, this 1950s set piece focused on police corruption in Los Angeles. Ultimately, this film showed that good and bad could be both black, white, gray and blue. So solid is this piece of filmmaking from the late Curtis Hanson, that it is one of those films you can just stream from the Netflix app and the time flies by. L.A. Confidential is your quintessential Hollywood, Academy Award winning film, yet, when you watch it the movie doesn't play like that at all. It is rich with character, story, and all the grand things we love when we go the movies. It seems like whenever Daniel Day-Lewis acts in anything he either wins an Academy Award (or gets nominated for it). In 2013, he took home the Best Actor award for his portrayal of America's 16th President. Honestly, this wasn't so much a contest as a coronation. Before Lincoln, Day-Lewis had won for There Will Be Blood as well as My Left Foot. In Lincoln, he seemed to find the true essence of the character. Every scene, every second he is on screen is weighted with emotional gravitas. It is hard not to watch this cinematic rendering of the Civil War, and Lincoln's desire to end slavery, and not feel something. Yes, Director Steven Spielberg is as sure-handed as they come, but this movie begins and ends with Daniel Day-Lewis and that is where the heart and soul of this film is too. Winning the Academy Award for Best Original Screenplay as well as grabbing the late Robin Williams a Best Supporting Actor statue in 1998, Good Will Hunting may not sound like much but it's a great film. This story of a janitor turned math savant who finds his way with the help his friends, his girlfriend, and his psychiatrist still holds up after 20 plus years. Sure, it launched the careers of Matt Damon and Ben Affleck (they were working actors but this project gave them a lot more work), and it reignited the career of Robbin Williams. It's the kind of film that seems simple to pull off but it's really a dramatic character piece with some comedy added in. Those are two of the hardest genres to do well (as we are sure Netflix knows) and that is why we still talk about it after all these years. Nominated for a eight Academy Awards in 2013, Silver Linings Playbook scored only one. This honor went to Jennifer Lawrence for Best Actress and it's not really a surprise. In a film with solid turns from Robert De Niro and Bradley Cooper, Silver Linings Playbook looks at what happens when Pat Solitano (Cooper) leaves a mental institution and has to function in the outside world. He meets Tiffany (Lawrence) and together, through dancing, they somehow are able to help one another. Silver Linings Playbook is a charming film that manages to make some big statements while being a small film. It's got charm, laughs, and a heart as big as the state of Maryland where it's set. Thank you Netflix for making this film and its subject matter available. I've said this before but I'll say it again here, Quentin Tarantino's Pulp Fiction is about as perfect as film gets. Nominated for 7 Academy Awards including Best Picture and Best Director, Pulp Fiction would take home the award for Best Original Screenplay in 1995. While this film may have had its influences, man oh man, Pulp Fiction is all Quentin Tarantino. With it's layered dialogue, artfully done killings, and ability to linger (it's runtime was about 3 hours! ), Pulp Fiction is truly a dazzling piece of filmmaking. That it was a critical and box office smash (and is highly popular on sites like Netflix), only further bolsters its credentials as one of the best films ever made. The best part? You can still watch this film and it only feels like it's an hour long. This 2008 Best Picture and Best Supporting actor (Javier Bardem) Academy Award winner defines the term slow burn. No Country Old Men is in no way your garden variety mystery. When Llewelyn Moss (Josh Brolin) finds the spoils of a drug deal gone bad, he takes the loot and soon finds himself being pursued by a very original killer named Chigurh (Bardem). Entering this mix is Tommy Lee Jones and a host of other fine actors. In fact, it is easy to watch this film and see why Netflix would want to make The Ballad of Buster Scruggs with the Coen Brothers. No Country For Old Men is suspenseful, scary, and the kind of movie that haunts you months and years after you see it. Richard Linklater made a really special film with Boyhood. This movie chronicles the life of the same cast over a period of 12 years. In 2015, it was nominated for a litany of Academy Awards but would only garner a Best Supporting Actress nomination for Patricia Arquette. A lot of people are split on how they view this film. Some felt that it was pedantic and featured terrible acting from starring cast of non-actors. Others, like myself, felt that Boyhood was an incredible film that touched on some universal and emotional truths. Who knows maybe the content was too much for some people to handle? Boyhood forces you to be an active viewer. The film is a true character study and one that you will either find captivating or inept. What you can't ignore is that Netflix really understands its audiences tastes, and Boyhood is that rare art film for everyone.